With the new iPhone, the Apple users are enjoying various new features. But even the new iPhones are experiencing some issues. Few users have complained that their iPhone X/XR/XS keeps dropping calls. This issue might be arising because of some common problem, but you don't have to worry because there are various methods that you can try out to resolve this issue. In this article, we are going to discuss how we can fix calls keep dropping on iPhone X/XR/XS. Remove your SIM Card from your iPhone and then reinstall it. Sometimes, it is the SIM card that has issues, reinstalling it might be able to fix the iPhone X dropping calls problem. If you have some accessories connected to your iPhone, remove the accessory and then again try making calls. You can also try removing your iPhone's case. If these fixes don't work out, then you will have to try the following methods one by one to see if any one of them fixes the problem. Step 1. Press the Side button and either of the Volume buttons, hold it until the slider appears on the screen. Swipe the slider from left to right and your Phone X will turn off. Step 2. 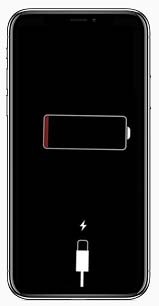 Wait for 10-15 seconds, then again press the Side button and hold it to turn our iPhone back on. However, if the normal restart doesn't work, you can always go for a hard reboot. Step 1. Sequentially press and quickly release the Volume up button and then Volume down button. Then follow up by pressing and holding the Side button until the display turns off. Step 2. Keep pressing the Side button and wait until the Apple boot screen appears. Then you can let go of the Side button. The iPhone will boot up and you can troubleshoot the problem. This method is well known to fix many problems in all the iPhone models. If the problem still persists, then it is time that you do something about the network settings of the iPhone. The main reason why calls keep dropping on iPhone can be a network problem. Thus resetting the network setting will erase all your iPhone's cellular, Wi-Fi and other network settings and restore them to default. Step 1. Open the Settings app on your iPhone and go to General settings. Scroll down to find the Reset option and open it. Step 2. In the Reset menu, you will see various reset option, but remember to choose the Reset network settings. When you select the setting, you will be prompted to enter your iPhone's passcode. Then your iPhone X will reset the entire settings and reboot on its own. Step 1. Open the Settings App and then go to the General Settings. Open About option and wait in the menu for almost 15 seconds until a pop-up arrives and say "Carrier Settings Update". Step 2. Tap on the option and if the update is available then tap on it and update the Carrier settings. If the pop-up message doesn't come up, that simply means that the iPhone has no requirement of an update. But don't worry there are still some methods left that can fix the issue. Normally, when your device requires an update, it exhibits some issues that really don't exist. This can be another possible reason why your iPhone is dropping calls. So check whether an update is available in the iPhone X. Go to the General Settings in the Settings app and select the Software Update option. If an update is available, then download and install the update immediately. Connect your iPhone to a charging point and allow it to update the iOS version. Another method, which is very significant due to its efficiency of fixing any kind of issue in iOS devices, is the Tenorshare ReiBoot . This can easily fix the iPhone keeps dropping calls problem. Follow the below steps and fix your iPhone as soon as possible without losing a single bit of data. Step 1. Download, install and then launch the Tenorshare ReiBoot software on your computer. Connect your iPhone X with the computer and select the Repair Operating system from the main interface. Step 2. Click Start Repair and follow the onscreen instruction to download matching firmware package. Tap on the download option or you can manually import the firmware file. Step 3. Once the firmware package is imported, you will be ready to resolve the issue in your iPhone X. tap on the Repair Now option and the process will begin. You will be able to see the ongoing process and when the process is complete, your iPhone X will reboot and all the issues in it will be fixed along with the iPhone X dropping calls issue. If your iPhone runs into other problems like recovery mode loop, keeps restarting , black screen , etc., ReiBoot is capable of repairing iOS to normal without data loss. If none of the methods works out, then you will be let with the option, which results in an entire data loss. But luckily, this will fix the iPhone X dropping calls issue. There is two methods of restoring iPhone. The first method is to open the Settings app, get to the General Settings and then open the Reset menu. From the menu, select the Erase All Content and Settings option and it will restore your iPhone by removing all the data and settings from your iPhone X. The second method is to restore the iPhone X via iTunes. Simply launch iTunes in your computer connect your iPhone and go to the Summary tab. In the tab, first, perform a backup of the data and then click on the Restore button and your iPhone will be restored as a new device. Hopefully, now you know what you can do if the calls keep dropping in iPhone X/XR/XS or other iPhones as well. All the listed methods have their own significance and proven worthy to resolve the issue. Additionally, you also have a third party tool that can fix the iPhone without any loss of data. Try Tenorshare ReiBoot and recommend it to others so that they can also get the benefits offered by the software. How to Restore iPhone X without Using iTunes?